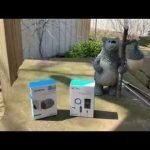 A few weeks ago when I was in Best Buy picking up my brand new Fitbit Versa the two young women at the service desk were intrigued with and deeply interested in the new device. It was the first day it was made available to consumers and I was the first one in that store to have this cool new thing in my hands. However, one of the young women said that she’d probably lose interest in it after a few weeks and then just use it as a toy. Well, at least she was honest. She didn’t appear to be someone who regularly exercised and she pretty much acknowledged that. She was overweight and had long ago thrown in the towel, so to speak, when it came to trying to get in shape. I told her that I found fitness trackers motivating, well, not all of them and that’s what this article is about. 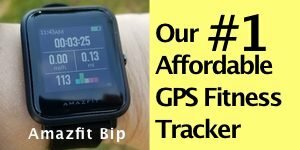 It’s so important to pick a fitness tracker that is going to continue to motivate you to be active long after the newness wears off. In a 2017 study titled, “Motivation and User Engagement in Fitness Tracking: Heuristics for Mobile Healthcare Wearables” the number of users of fitness trackers that stuck with them and some of the possible reasons why they did or did not were discussed. That second number really surprised me. Two weeks? Fitbit? 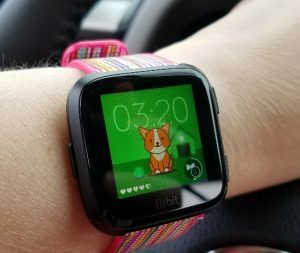 50% of people stopped using their Fibits after just two weeks? Of course, the Fitbit used in this study was the Flex which isn’t the most engaging device Fitbit makes but still I would have guessed at least 3-4 weeks. The other tracker in the study was the Jawbone UP which is pretty basic as fitness trackers go but does provide healthful insights to users through the app. The study didn’t indicate how long Jawbone users stuck with their trackers. But it’s not all bad news and hopeless. 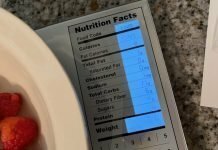 Of those that participated in the 4-week study, none of them quit and this can likely be attributed to the fact that all were committed users of fitness trackers. Their ages ranged from 18-60 and most had a bachelor’s degree or higher. So presumably these were well-educated people interested in living a healthy lifestyle. And if you’re reading this article, you would likely fit into the same category because you’re already showing a deep interest in your health. If fitness trackers were handed out randomly to people it’s likely that we’d see the same high drop out rate as listed in the previous stats. Still, certain features of fitness trackers tend to make them more motivating and encourage users to continue to use them. What exactly does that mean? Autonomy refers to people being able to have some say in what their goals are for steps, active minutes, sleep, etc. I’ve never been a big fan of the 10,000 step goal because I think it’s very hard to reach for some people, especially those with office jobs, and it doesn’t take into consideration any other physical activities a user may be doing throughout the day. For example, if I ride 10 miles on my bike but see negative feedback on my tracker telling me I didn’t meet my 10,000 steps goal for that day, I’m going to quickly get to the point where I don’t care about how many steps I take. It’s important for trackers to take this all physical activity into consideration. 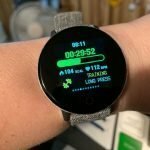 I’ve always preferred Garmin’s adaptive step goals that change with your activity level. The more you walk, the higher your step goal becomes and the less you walk, it adjusts to a lower number. That way I can focus on my active minutes of the day or week while still being aware of how many steps I’ve taken. Positive reinforcement is a good thing. Another important factor is accuracy. People need to feel like they can trust the data they’re getting from the fitness tracker. 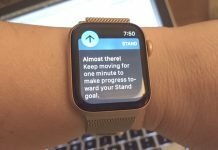 I know I’ve used trackers that missed a lot of my steps and with those I tend to quickly lose interest in meeting my step goals. However, those that were a bit generous with my step count encouraged me to be more active, as long as the data was still within a reasonable range of accuracy. Hey, psychology matters. It’s that positive reinforcement again. 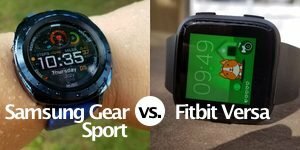 The study also identified three key areas for fitness trackers and they are data, gamification, and content. Data was the information the tracker provided people. Graphical representations of that data was helpful. Gamification was related to those features that coached or encouraged the wearers. The Jawbone’s SmartCoach feature is an example of this. Content kinda puts everything together by combing autonomy and support. 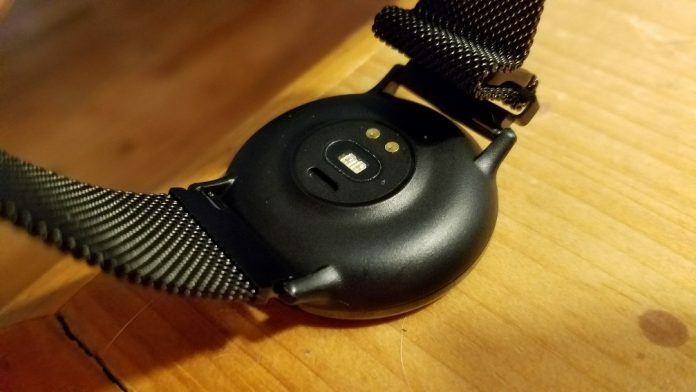 Users need to be able to personalize their wearable device to their goals but they also benefit from guidance and motivational/helpful information provided by the tracker. Something that wasn’t as effective was social competition. 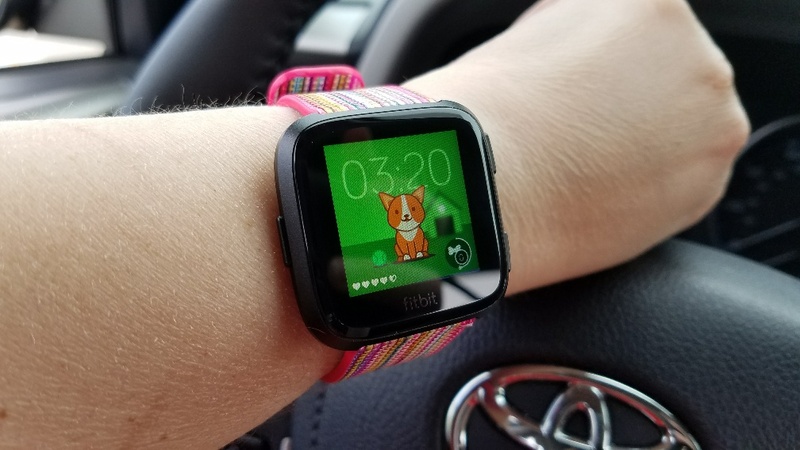 Fitbit has a large user community and certainly some people benefit from it and enjoy using it but for many a more personalized and individualized experience is more effective. That makes sense to me because I don’t care for competitions and I think they can un-motivate people. 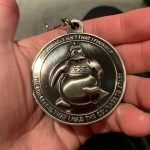 If you’re competing against someone who regularly walks 15,000 steps a day and you’re struggling to get to 5,000, you might just feel like giving up altogether. Although I really do enjoy looking through the hiking community on Fitbit for the photos and inspiration to get out there myself. 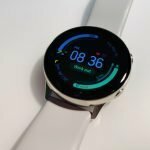 Also, although it wasn’t included in the study, my personal feeling is that it is very important to choose a fitness tracker that is going to work with you and help guide you based upon your fitness level and specific interests. 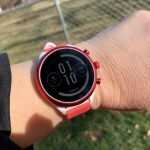 For example, I really enjoy the Garmin Fenix 5s because I love to hike (View the Fenix on Amazon) and it is a terrific hiking watch, as well as a very good fitness tracker. A running watch wouldn’t be of much use to me since I’m not a runner. Although, the Fenix does a great job at that too! For my day-to-day usage, I prefer a tracker that is also a smartwatch. That’s why the Fitbit Versa (View on Amazon) is on my wrist right now and it encourages me to be active throughout the day. Fitbit Labs is making some interactive and motivational apps for the Versa (and Ionic). Clock faces with animated characters, such as the one below, encourage me to keep up with my steps through the day. The dog walks when I walk, sleeps when I sleep, and leaves me if I don’t get my steps in. Nothing else has encouraged me to walk so much before. Fitbit Labs also has a Treasure Quest app that plays out like a video game. These are examples of gamification but so are rewards. The Suunto Fitness 3 is a new fitness tracker (View on Amazon) that is also a fitness coach. It creates adaptive training plans based upon the user’s current fitness level and goals. I think this is the direction most trackers will soon be going and I think that’s a good thing. So, it’s important which tracker you choose because you want one you’re going to stick with long-term and the best ones allow personalization, interactivity, feedback, and guidance. They also match to whatever activities you normally do. If you are mostly going to walk, you don’t need to spend tons of money but accuracy still matters. It also helps if they’re fun and have a cute dog on their screen, well, for me anyway.